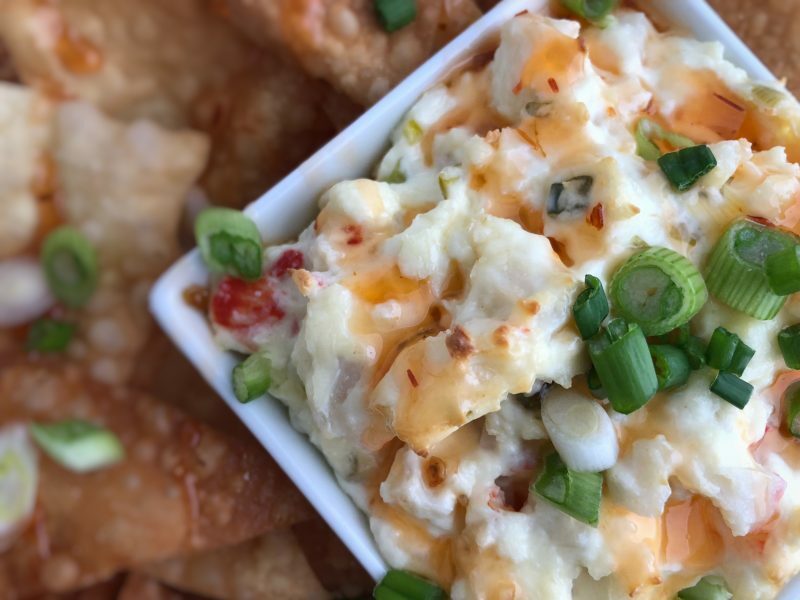 Crab Rangoon Dip – This easy-to-make creamy dip is filled with flavor, crunch, and drizzled with sweet chili sauce! 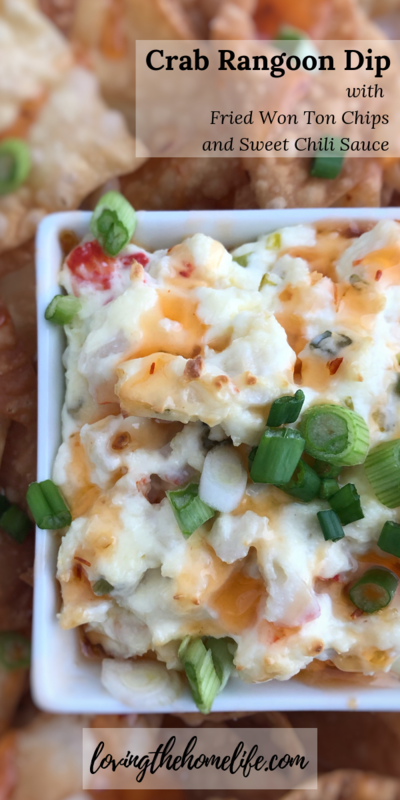 Make Crab Rangoon Dip for your Super Bowl party or whenever family and friends are gathered! You’re in for a treat! Won ton chips are totally addicting. 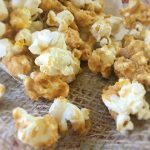 They have a light, crisp stuff-your-face crunch and flavor. The dip is decadent, creamy, and chock-full of crab and green onion flavor. And it’s all drizzled with the light zing of Thai sweet chili sauce. It’s fun to eat and perfect to serve at your next gathering. This dip is simple to make. If you don’t want to fry your own won ton chips, you can buy them prepared at some grocery stores. 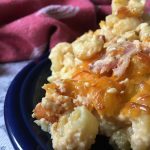 For this recipe, I use imitation crab meat. If you like, you can use canned or fresh crab meat. This easy-to-make creamy dip is filled with flavor, crunch, and drizzled with sweet chili sauce! 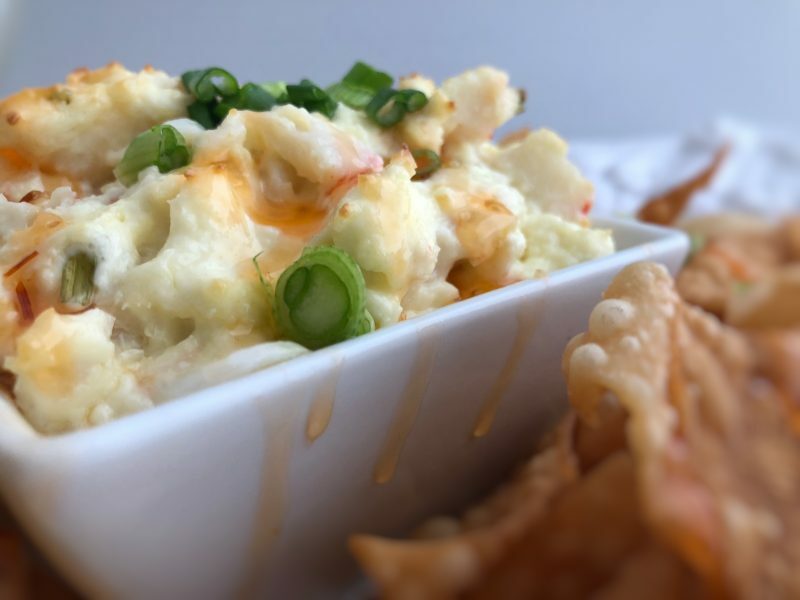 Make Crab Rangoon Dip for your Super Bowl party or whenever family and friends are gathered! First, prepare the won ton chips. Heat the oil in your deep-fat fryer to 356 degrees. 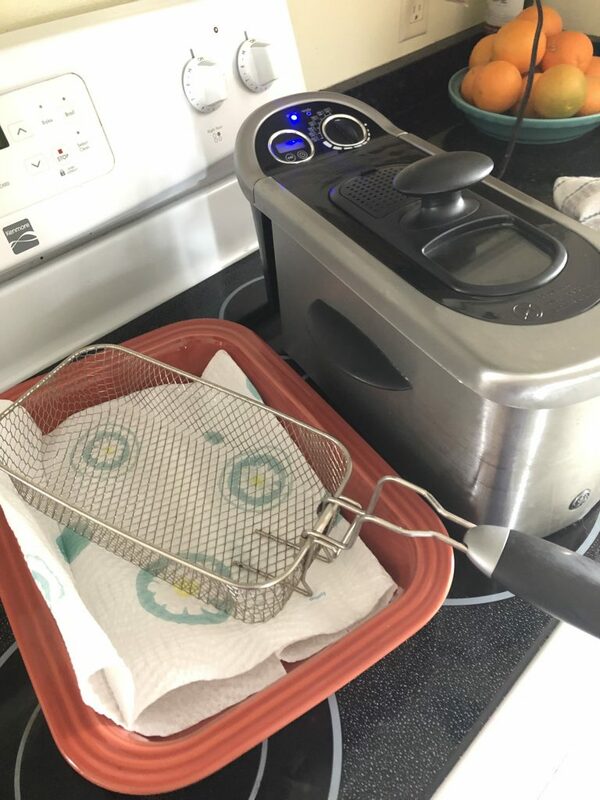 Have a pan lined with paper towels next to your fryer for draining the freshly-cooked won ton chips. 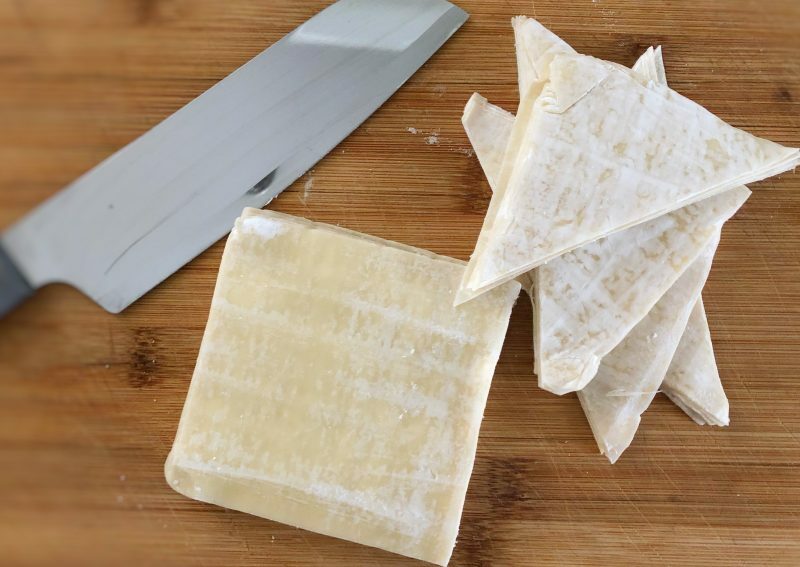 Cut the won ton wrappers in half into triangle shapes. 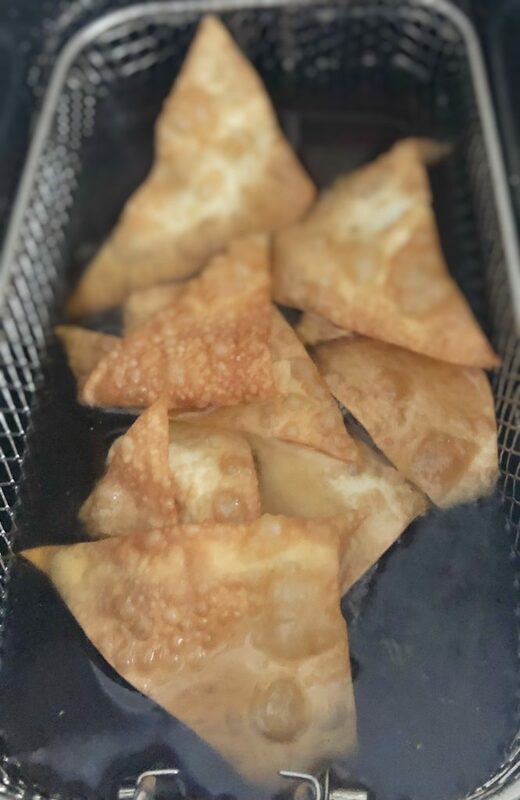 When the oil is ready in your fryer, insert the basket and carefully place the won ton dough into the oil. I add about 6 at a time. Won ton chips cook very quickly! Don’t step away. 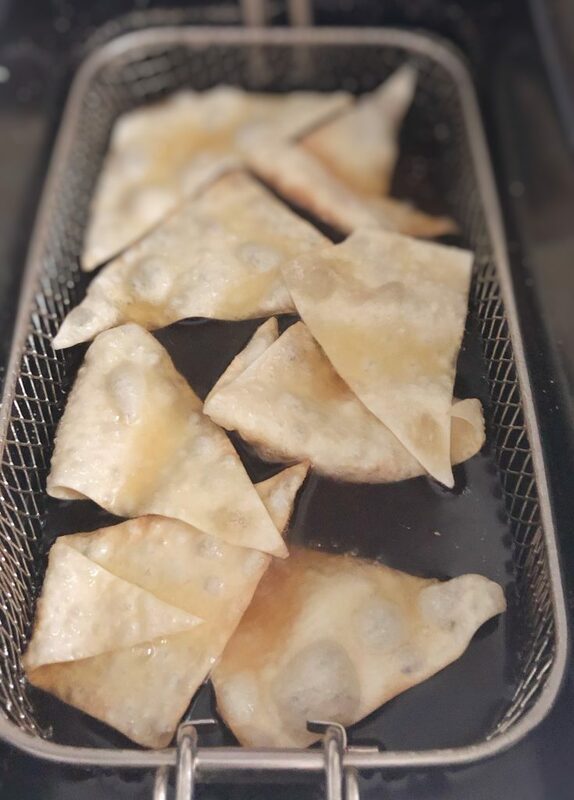 Have a fork or tongs ready to give the won ton chips a flip in the oil after they cook for about 45 seconds. 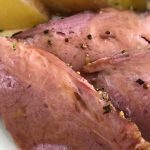 One flipped, cook them for about 20 seconds. 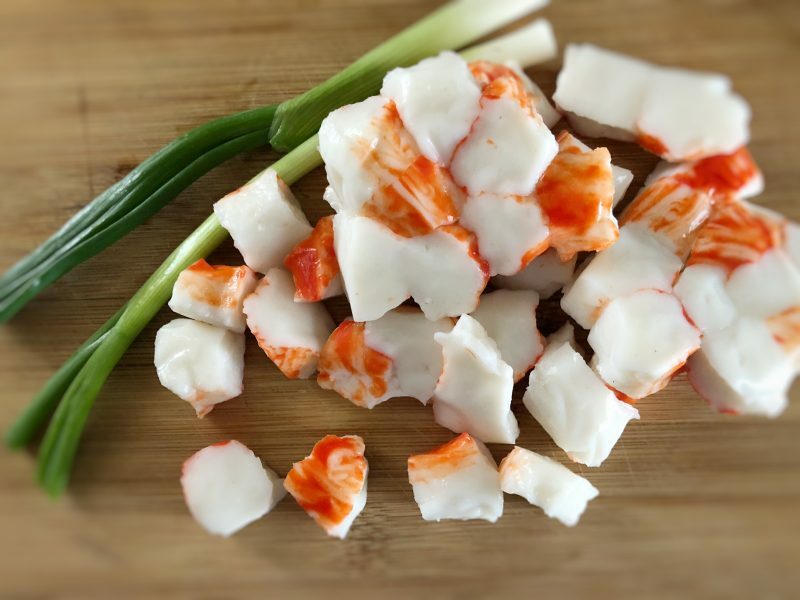 Next, chop up the imitation crab meat and 2 of the green onions. Mix them well into the softened cream cheese. Add the milk to thin the dip mixture a little. Then spread it into an oven-safe baking dish and bake at 350 degrees for about 20 minutes until heated through. 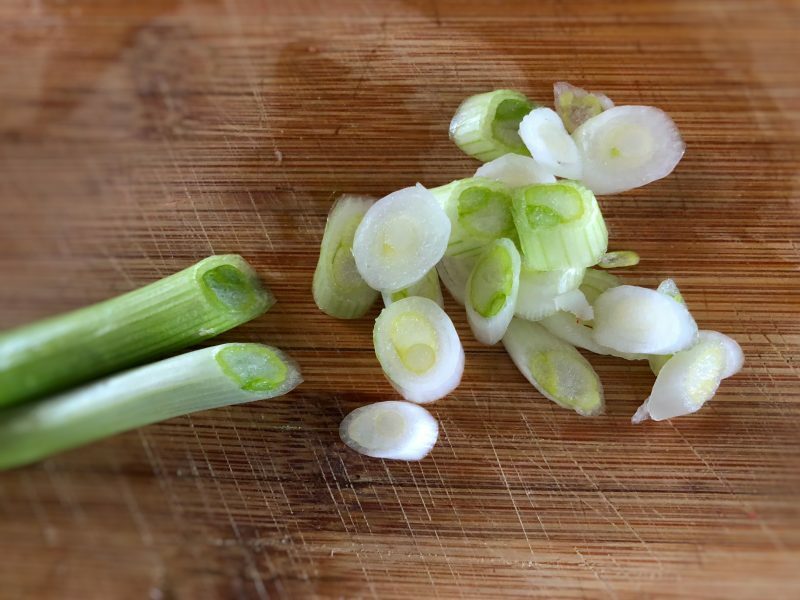 While the crab rangoon dip is baking, slice the other two green onions at an angle for a pretty garnish. 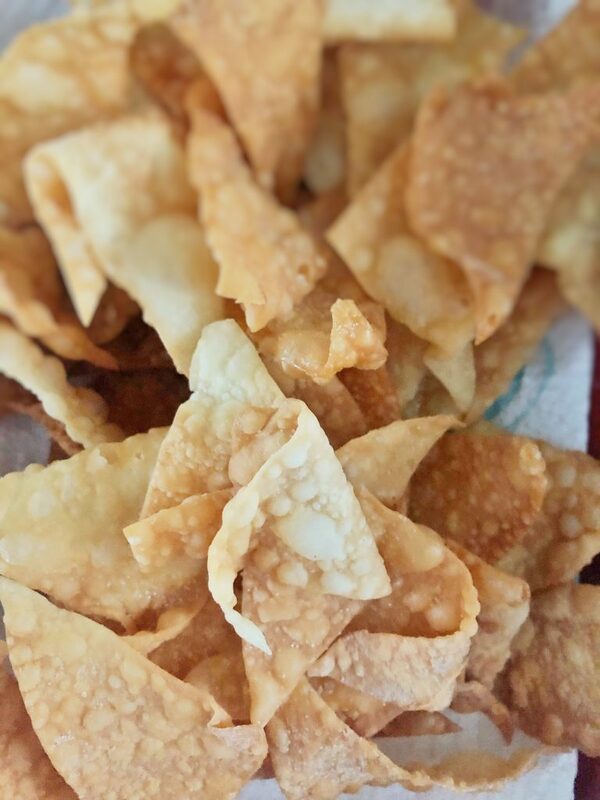 Place the dip in the middle of a large platter and surround with won ton chips. Drizzle chips, dip and all with the Thai sweet chili sauce. Then sprinkle everything the fresh green onion angled slices. 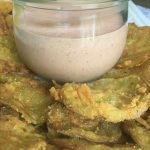 Get more tips for deep fat frying and a recipe for another amazing dip called Comeback Sauce right here! Comeback sauce is delicious on sandwiches or for dipping your favorite deep fried snacks. Who are you cheering for to win the Super Bowl? Are you hosting a party or being a guest this year? What are some of your favorite Super Bowl Party ideas? I loooove crab rangoon! 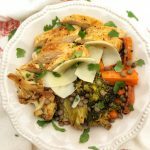 I’ve never tried to make it though – I’ll have to try this out!! Yum, this looks perfect for the big game this weekend. Making my shopping list now! Wonderful! It’s going to be a great game! 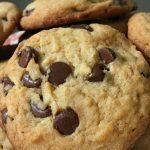 Oh my… another delicious looking recipe! Thanks for linking up at Homestyle Gathering my friend! Hugs! Hope to see you next week!